Zweitesich, a fursuit "designer label", released their first line of partial fursuits to the general public on April 16th. The three available designs are currently being sold for $6,000 apiece, and were advertised in a similar way as designer clothing brands Calvin Klein or Tommy Hilfiger. 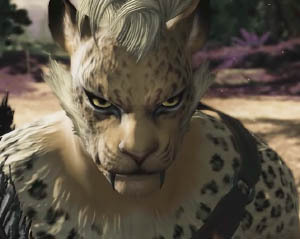 The product launch, like that of a large sea-faring vessel, ended up with a lot of shattered glass on the ground, as many in the furry community did not receive the promotion fondly. 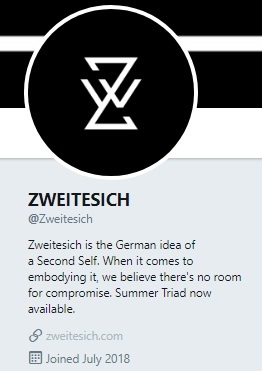 The Zweitesich brand name is a German compound word that means "second self" (zweites + ich). At first there was speculation that the price and advertising schemes were so tone-deaf that it was coming from an outside group, looking to cash in on fursuit fans. The ads were being done through a new social media account that hid its ties to whoever the designer was. However, the speculation was proven wrong when the actual fursuit creator stepped forward and apologized for the marketing mistakes. It turned out to be AlbinoTopaz, whose previous fursuits had broken records at auctions, like "Lavender Corgi" which had sold on FurBuy for $8,025 in 2014.